Samsung home theater projectors have become widely known as highly polished videophile products, thanks to Samsung's collaboration with video guru Joe Kane. While they have had their flaws, generally Samsung's home theater projectors have been exemplars of video quality and refinement. This year, Samsung has released the SP-A900B, a DLP 1080p projector that has few frills but produces an amazing picture. Despite its relatively unimpressive 12,000:1 contrast spec, the SP-A900B is a true videophile's projector, ideal for light-controlled home cinema. The SP-A900B (not to be confused with Samsung's SPH-A900, which is a cell phone) is sold through a network of authorized dealers and custom installation specialists, so it cannot be purchased over the Internet. It also has a steep retail price, at $12,999. It's certainly not a projector for everyone. However, it does offer incremental improvements that, collectively, make it an attractive option for serious devotees of home cinema with the means to acquire one. Moreover, it offers one of the smoothest, most film-like, and most natural looking images to be found on any digital projector, which is something that cannot be discerned from the specifications. If you are looking for one of the finest projectors for pure light-controlled cinema currently on the market, and don't mind spending some extra money to get it, the Samsung SP-A900B is for you. Lumen output. It is fairly common for home theater projectors to produce far fewer lumens in optimized Cinema modes than their specifications would indicate. The SP-A900B is rated at 1,000 ANSI lumens, and Cinema 1 mode measured 490 lumens on our test sample. During testing, we found that the A900 was indeed capable of 916 lumens, and you can see this for yourself by bringing up the "White" test pattern in the projector's menu. Low lamp mode reduces the Cinema 1 mode lumen output from 490 to an even 400, which is better suited to smaller screens in light-controlled rooms. Lumen output can be lowered further if desired by switching the iris over to manual control and closing it down a few notches. Contrast. Contrary to what the specifications might imply, the SP-A900B has excellent contrast. 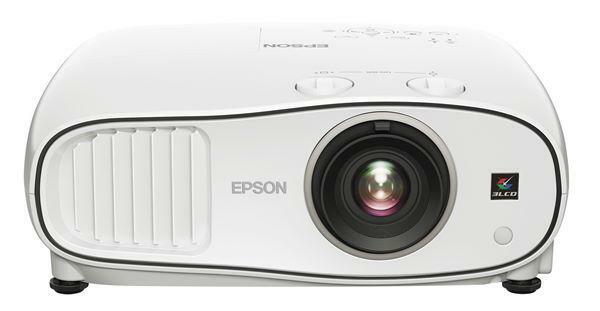 Although rated at only 12,000:1, it is capable of going head-to-head with some projectors rated at 60,000:1 or more. ANSI contrast on our test unit measured 484:1, and high-contrast scenes from Blu-Ray movies looked brilliant and dynamic. In Casino Royale, the stark difference between Bond's tuxedo jacket and white shirt was like night and day. This is a significant improvement over last year's A800, which suffered from relatively mediocre contrast performance. The SP-A900B also has an auto-iris, which helps improve on/off contrast. Response time is near-instantaneous, and at no time did its movement cause any distraction. However, if you are not a fan of auto-irises, or just don't want to use it, it can be switched over to manual mode and adjusted along a scale from 0 to 100. This is especially useful if you have a near-perfect light-controlled room and find 400 lumens to be too bright for your screen size. The replacement lamp carries a $250.00 MSRP, making it perhaps the least expensive UHP projector lamp available. This should be taken into account when considering the cost of ownership. After the H710AE projector debacle, Samsung should be practically giving these things away. It sounds like a wonderful projector to view, as was the 710, but the reliability issues on that unit left me a very sour taste for purchasing another Samsung product. Price on the 900 is going up to $12,999 on October 1st. Do you have a schematic type drawing that shows the mounting holes to be used to mount it to a ceiling mount/plate? I'm trying to use it with an anamorphic lens that I don't want to buy from DVE....too expensive. If not do yo know where I can find this?